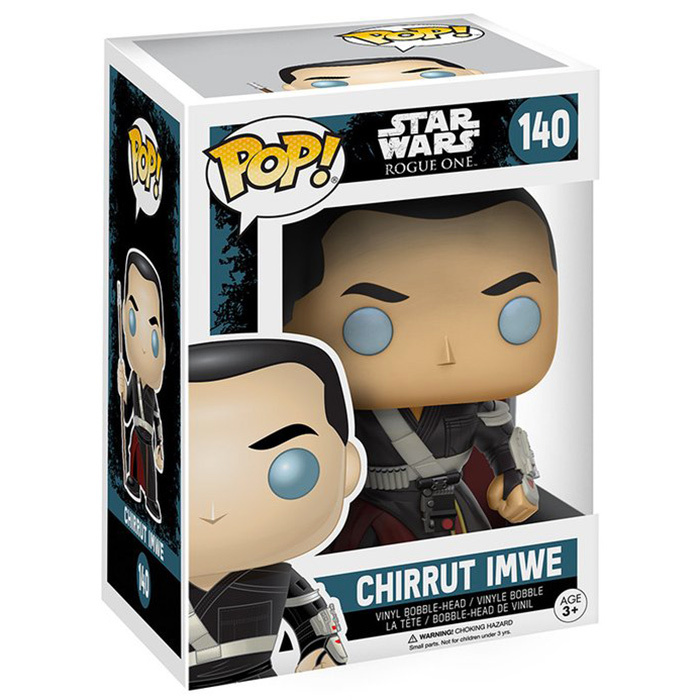 Are you interested in the Chirrut Imwe (Star Wars Rogue One) Funko Pop figure ? 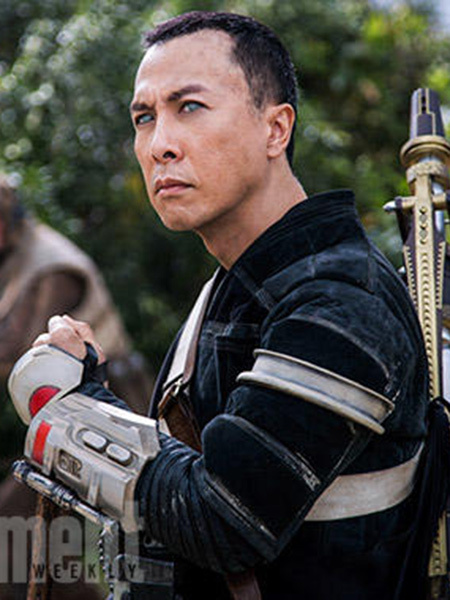 Chirrut Imwe is one of the characters appearing for the first time in the first movie of the new Star Wars Stories: Rogue One. The film takes place at the beginning of the first film of the original trilogy and follows a band of rebels whose mission is to steal the plans of the black star. 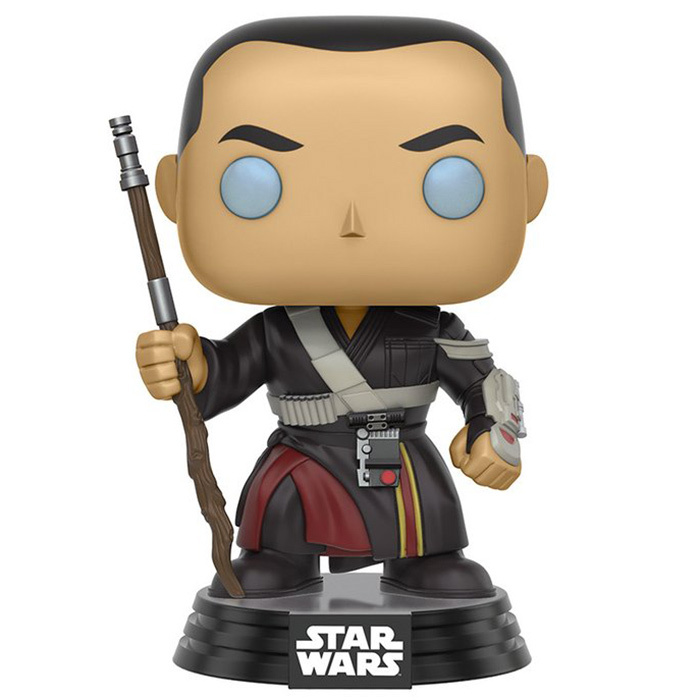 Chirrut is a blind spiritual warrior inspired by Jedi techniques to train in combat. He is a friend of assassin Baze Malbus and he is also enroled in the mission of Jyn Erso to retrieve the plans of the famous giant ship of Darth Vader. 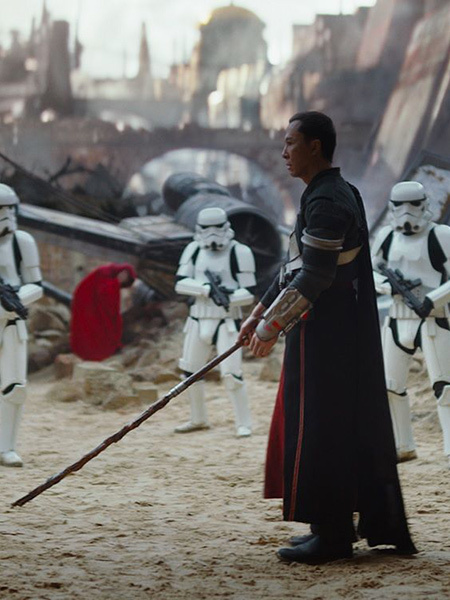 As can be seen in the film, Chirrut's style is inspired by both Buddhist monks and Jedi tunics. It is very visible with this superposition of black and red tunics. He also wears a wooden stick ending with the handle of a light saber and a large bracelet carrying a weapon on his left arm. About his head, one recognizes his very short hair cut but above all his clear blue eyes discolored by the disease.